Having conquered Facebook and Twitter, George Takei is expanding his social media empire into a new frontier. 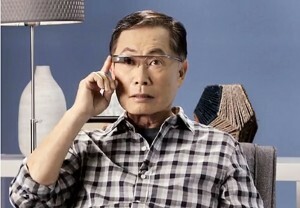 That’s a bit of an exaggeration, but the actor, activist and author is indeed adding talk-show host to his list of occupations thanks to AARP, which has launched “Takei’s Take,” a light-hearted look at technology issues, on YouTube (www.youtube.com/TakeisTake). “They came to me and it was an offer that was intriguing,” Takei said in a phone interview. Topics include new devices like Google Glass and Internet trends like online dating. The segments, just a few minutes each, come out every other week. He hopes to complete 12 of them before the end of the year. In the segment on online dating, which he discusses with comedian David So, Takei notes that in addition to general-interest websites like Match.com, there are specialized ones for Jewish singles, cat lovers, “Star Trek” fans and even AARP members. 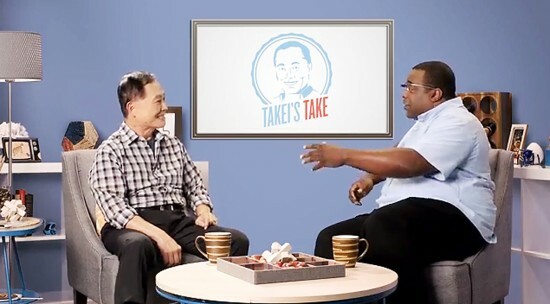 In another installment, Takei talks with Internet celebrity and comedian Michael Buckley about the “sharing economy,” which started with websites like Craigslist and has evolved into more specialized sites like Airbnb, which enables people to rent out unused rooms, apartments or houses, and Lyft, which facilities ride-sharing and is responsible for those cars driving around with pink moustaches. Takei’s take: There are some risks involved in sharing a car or a home with a stranger, but if you do your research it might be a good way to make some extra cash. 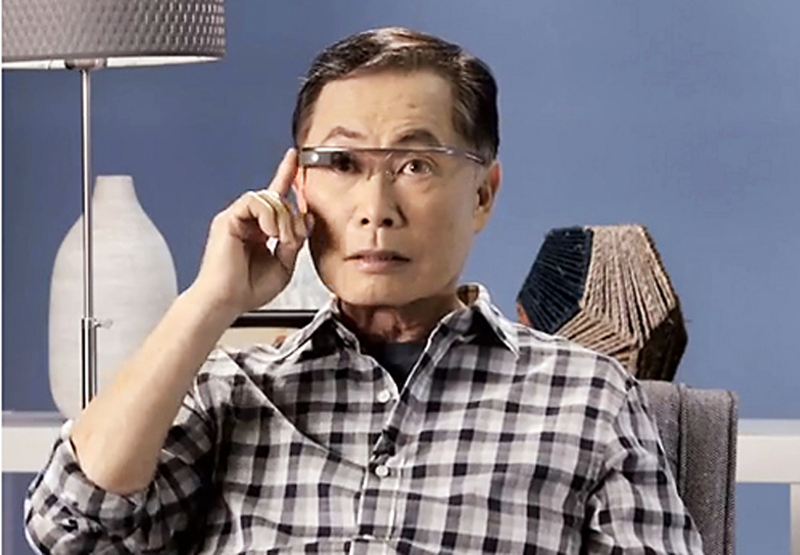 This isn’t the first time Takei has been tapped for a campaign aimed at retired people. A couple of years ago, he did a series of public service announcements for the Social Security Administration with another actor who was on TV in the late 1960s, Patty Duke. “We’re both of AARP age and instantly recognizable to that demographic,” says Takei. “I have a lot of different demographics that I’m known for now rather than just ‘Star Trek,’” Takei says. Takei has used his fame to educate the public about the internment of Japanese Americans during World War II and to speak out against homophobia and for gay rights. He says this activism is what led to his iconic status on social media. Takei’s Facebook page has nearly 4.6 million “likes,” and Mashable.com lists him as the most influential person on Facebook. He has more than 800,000 followers on Twitter, and his Klout score is 89, the same as Pope Francis. (Klout is a website and mobile app that uses social media analytics to rank public figures according to their online social influence on a scale of 100.) His latest book, “Oh Myyy! 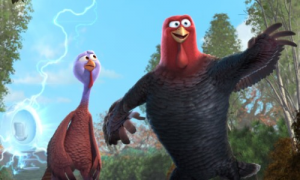 There Goes the Internet,” reached No. 10 on the New York Times e-book nonfiction list. Some have crowned him the king of social media. His audience now includes people interested in social justice issues, with those knowledgeable about the internment learning about LGBT issues, and vice versa. Along the way other causes have come up, such as raising relief funds for victims of the 2011 earthquake and tsunami in Japan. The goal is to open next spring, but if there are no vacancies, “it could lapse into next fall,” he says. 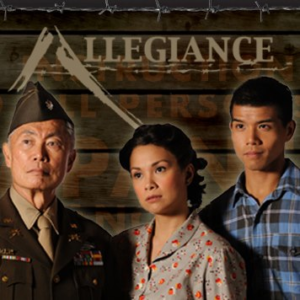 The musical features Telly Leung as Sam Kimura, Lea Salonga as his sister Kei, and Takei in a dual role as Ojii-san in the 1940s and as Sam in the present day. Sam joins the Army while Kei’s boyfriend, Frankie Suzuki (Michael K. Lee), resists the draft. But he suggests that the studio will find some way to celebrate the golden anniversary of “Star Trek” three years from now. The show made its debut in 1966. “She went to San Diego for opening of ‘Allegiance.’ We have a place in Arizona; she spent a week at our place filming us, and also New York, where I do a lot of gigs.